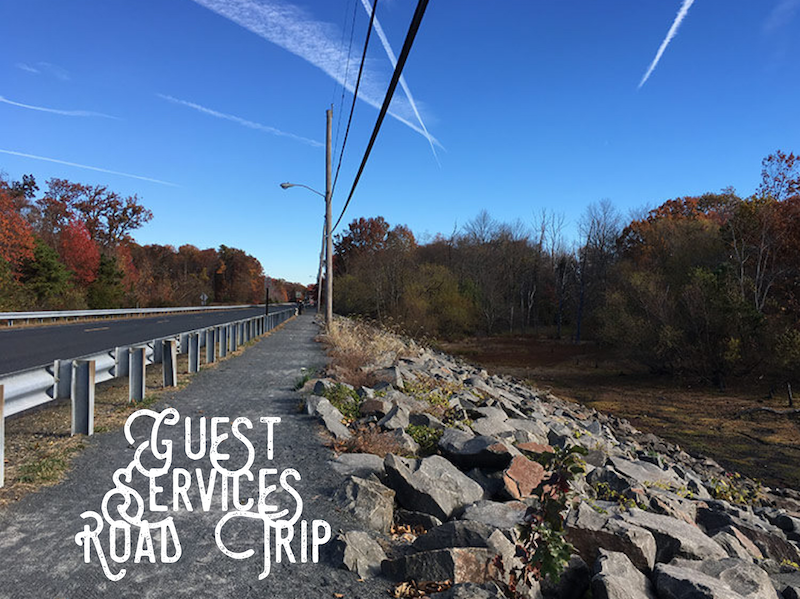 Dawn Bornkamp is the Guest Services Leader at CrossPoint Church in Farmingdale, New Jersey, a church she’s been a part of for the last ten years. CrossPoint is a church of 800 in weekly attendance. They are committed to Christ’s teachings, obeying His commands, and taking His Gospel to the world. Want to know more? Get in touch with Dawn via email. The training process for Guest Services – whether a greeter, café, or parking lot volunteer – is basically a shadowing system. The new volunteer stays with a “veteran” volunteer throughout the serving time. This continues until the volunteer is comfortable in what they need to do in their area of serving. There are also training sessions offered during the year to help keep all volunteers up-to-date and unified while serving. We welcome guests to our First Time Guest area located in our foyer. After they fill out our Connection Card, they receive a gift bag. We answer any questions that they may have and let them know about our café where coffee and tea is free. Later that day, a deacon calls them to welcome them and inquires about questions they may have. On Monday, a welcome letter goes out which has information about the Next Step (a baptism class). One month after their first visit, I call the guest to ask if they have any feedback, questions, or prayer requests. The response to this call is always very positive and pleasantly received. Three months after their first visit, another letter goes out listing our Life Groups and the website link to sign up online. The biggest impact on first time guests is the personal phone call about a month out from their first time at CrossPoint. I believe that people write their numbers with little to no expectation of it ever getting used once…let alone twice! People are always thanking me for the call. I know this may come as a shock, but here it goes…recruiting volunteers to serve. We have an outstanding team of people in our Guest Services ministry and would love to add more volunteers with a heart to serve the Lord. How do you define success on a weekend…either personally or professionally? A success for me personally is to find out that someone accepted Christ as their Savior and follow through with baptism. Success – specifically in Guest Services – is when first time guests look, sound, and act comfortable (which easily shows).